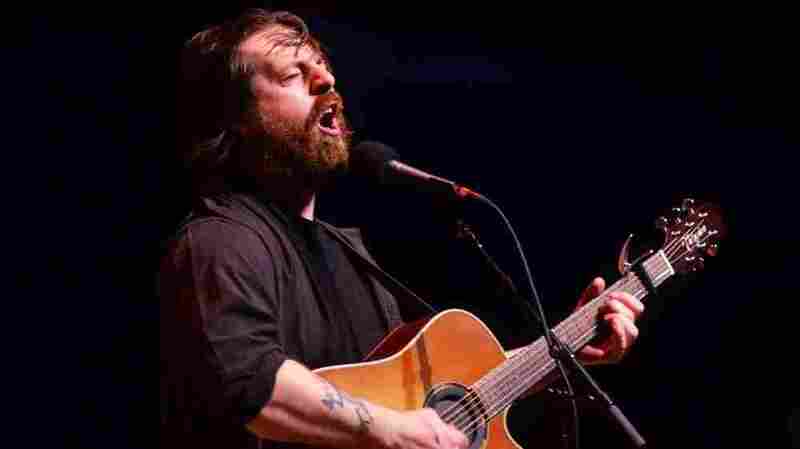 Sean Rowe On Mountain Stage The singer-songwriter, who is already drawing comparisons to Van Morrison and Leonard Cohen, made his first appearance on West Virginia's most famous stage to play songs from his Anti- Records debut, Magic. Sean Rowe performed on Mountain Stage. Singer-songwriter Sean Rowe kicked off this episode of Mountain Stage recorded in Morgantown, W. Va., with songs from his Anti- Records debut, Magic. Already drawing comparisons to Van Morrison and Leonard Cohen, Rowe utilizes a bold voice and the skill of a poet to sketch a world where man and nature lie down uneasily side by side. An avid naturalist, Rowe routinely takes off on wilderness treks with nothing but a knife and the clothes on his back. In this similarly stripped performance, Rowe brings his dark, soulful baritone and a guitar to Mountain Stage for the first time. He brought the audience to its feet with his rousing cover of Richard Thompson's "1952 Vincent Black Lightning." Julie Adams and the Mountain Stage band close the segment with a Grateful Dead tune, "New Speedway Boogie."